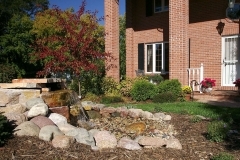 The tranquility of flowing water creates an elegant atmosphere and provides a unique focal point in your outdoor space. 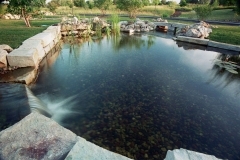 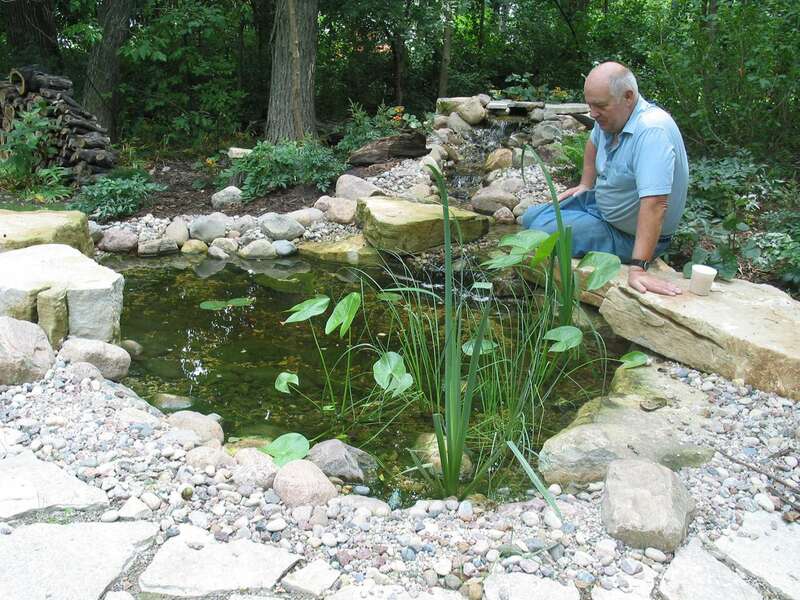 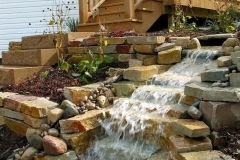 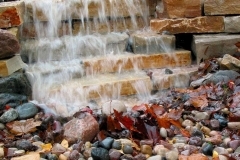 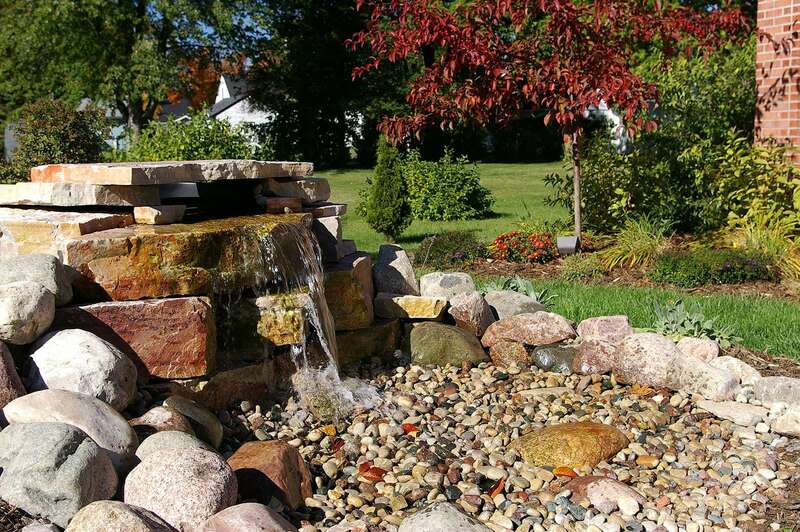 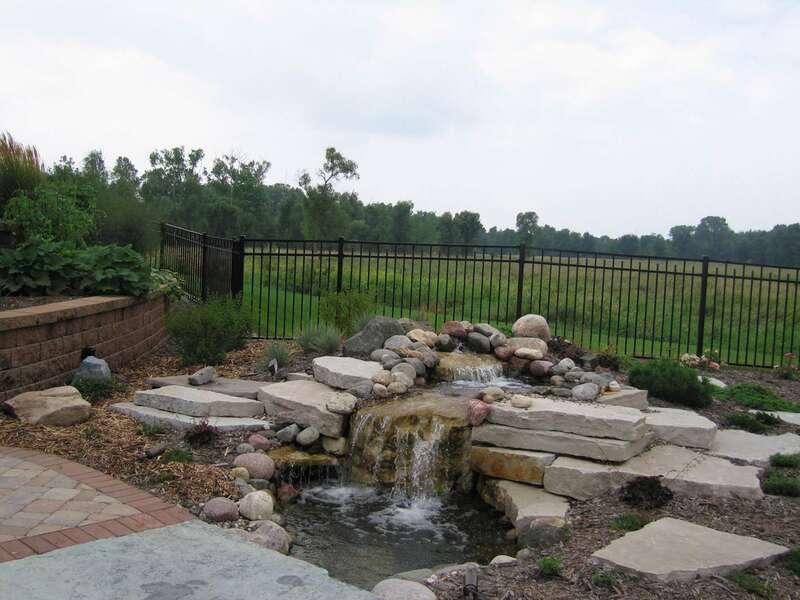 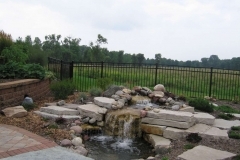 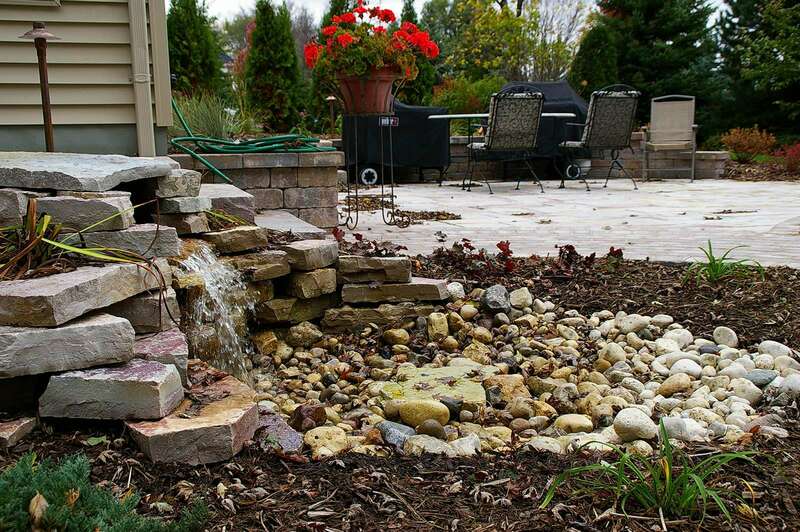 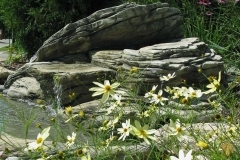 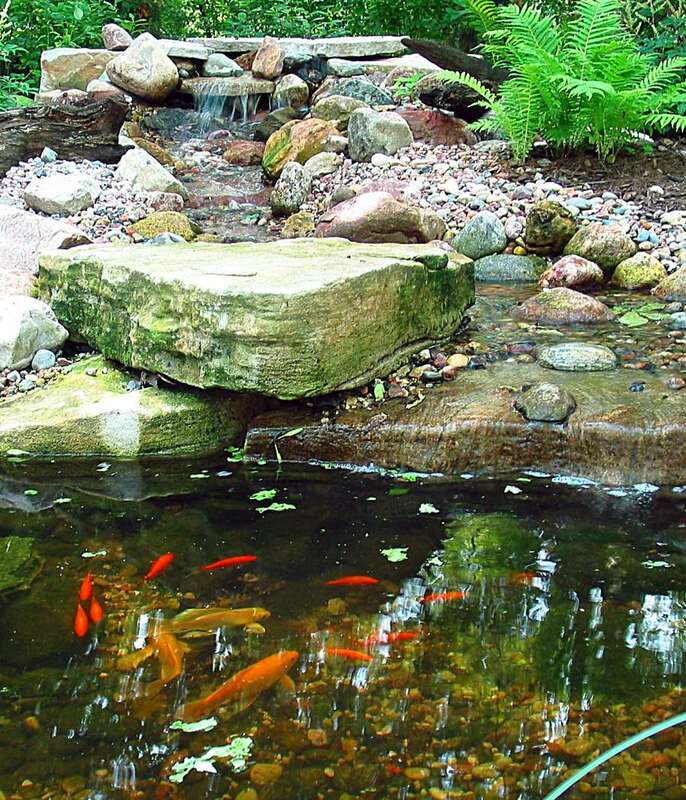 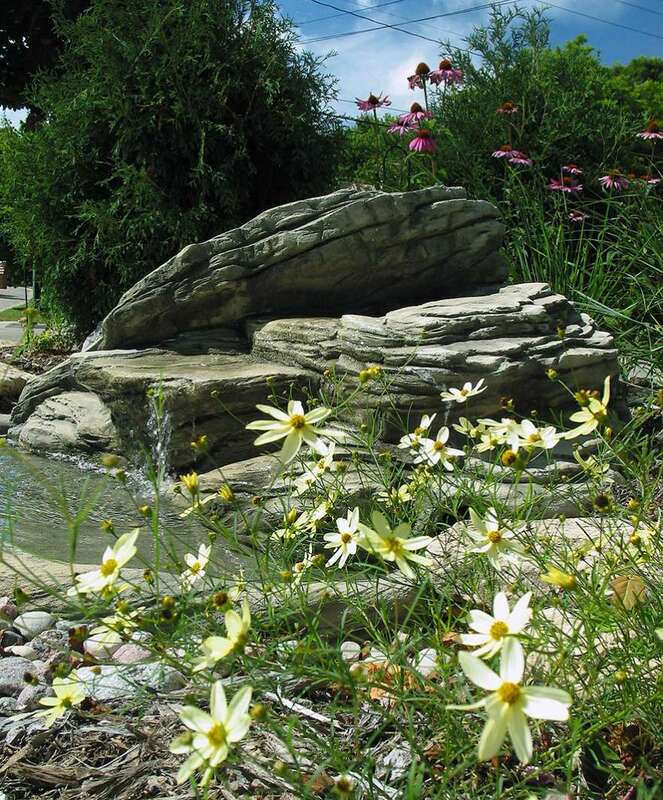 Whether you want to hear the splashing of a waterfall or the rippling movement of a stream or pond, Vande Hey Company can create the perfect water feature for you. 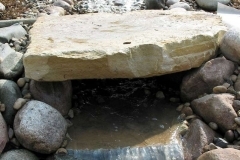 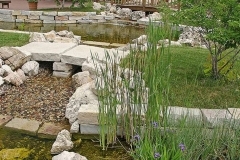 Each type of water feature we design is unique in its own way and provides many different benefits. 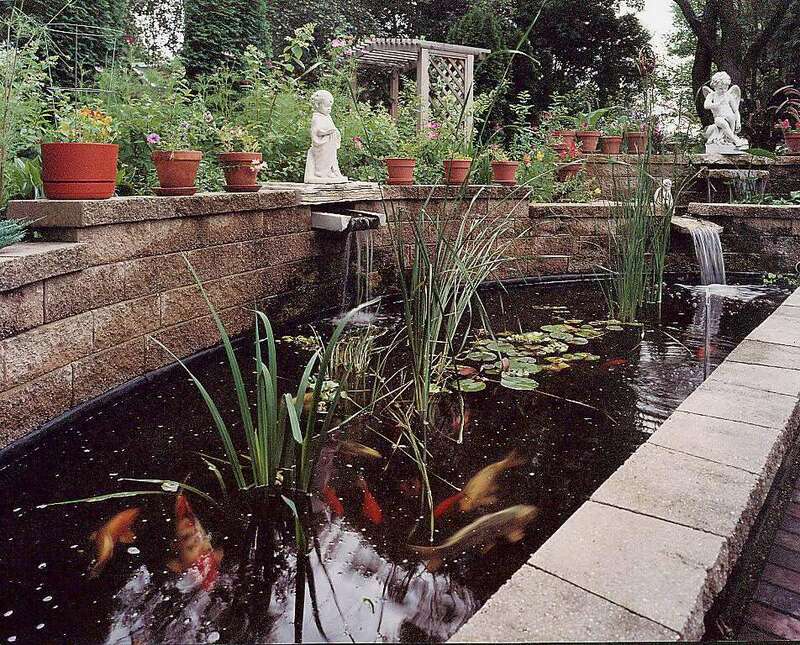 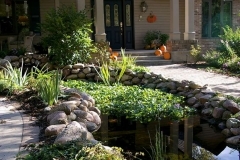 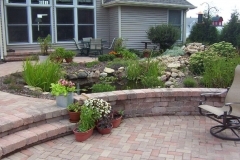 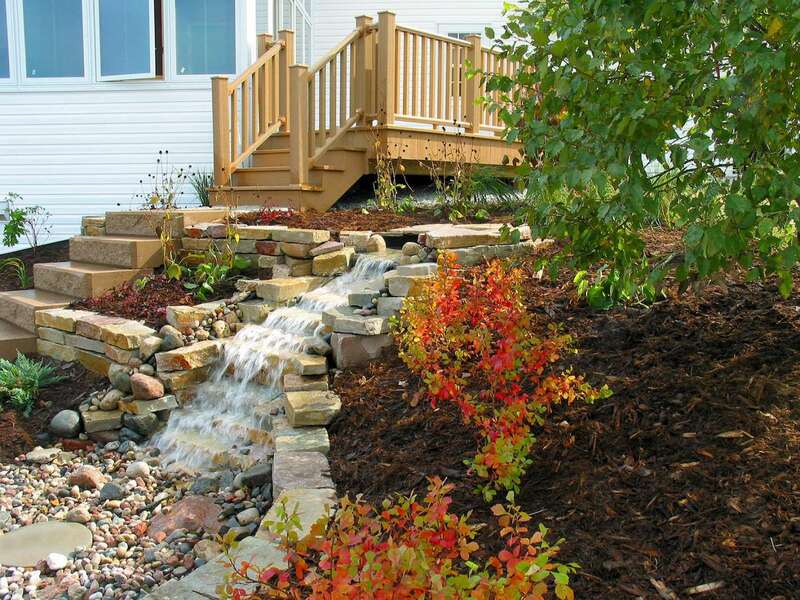 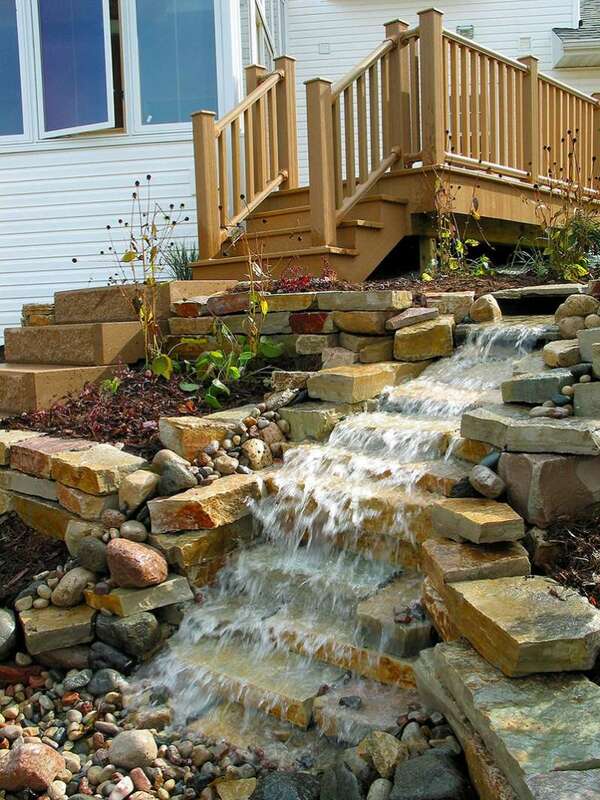 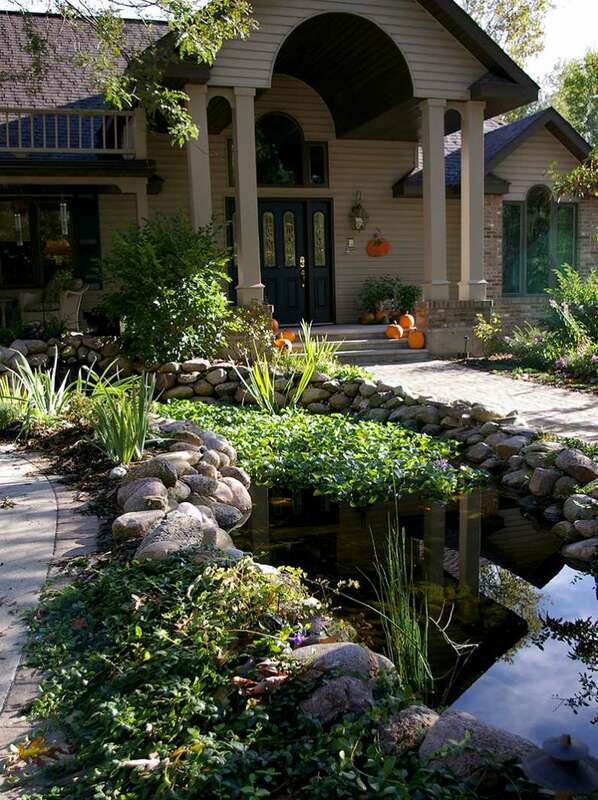 If you’re looking for a traditional waterfall that ends in a pond, we can do that. But we’re also able to take it a step farther and create pondless waterfalls, which self-cycle and fit anywhere. 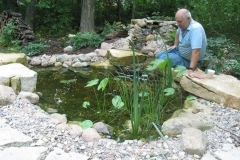 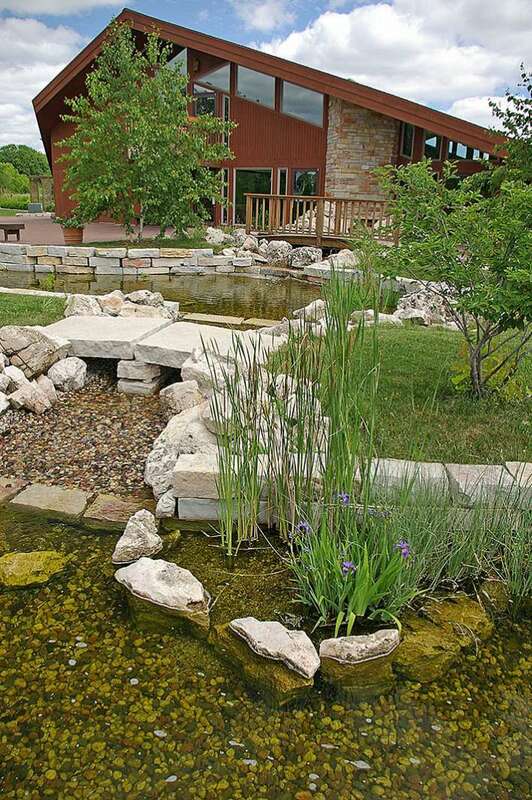 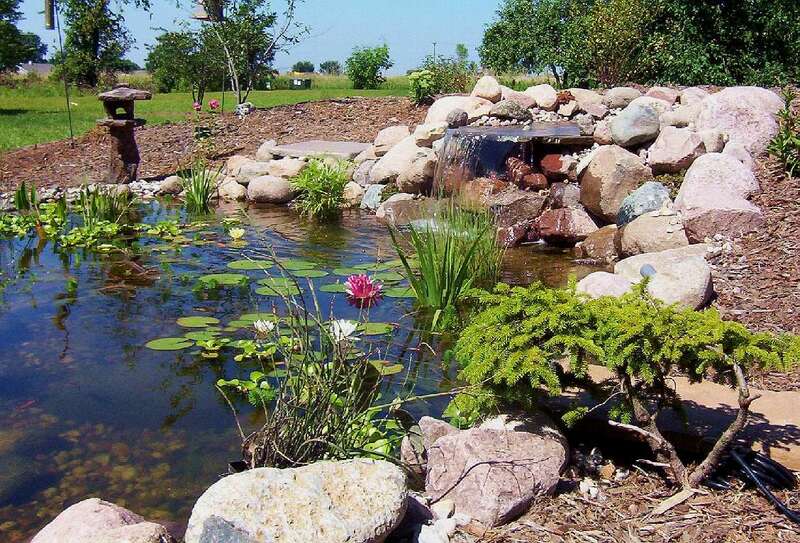 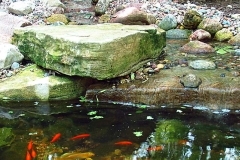 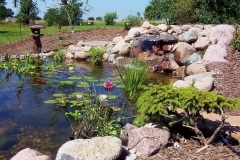 If you prefer a traditional pond, Vande Hey Company’s experts will develop a design that uses pumps to create slight movement and keep water moving. 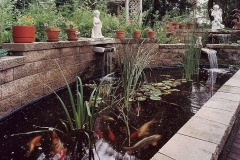 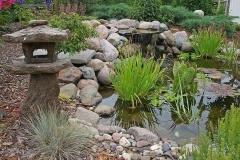 For a more dramatic effect, the addition of koi and frogs will act like your own ecosystem. 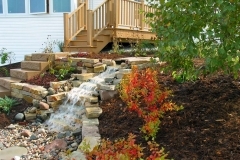 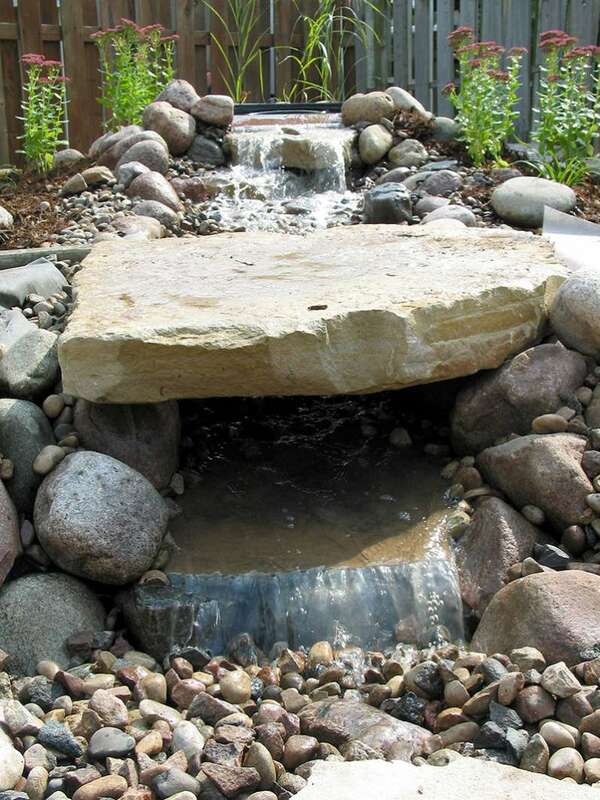 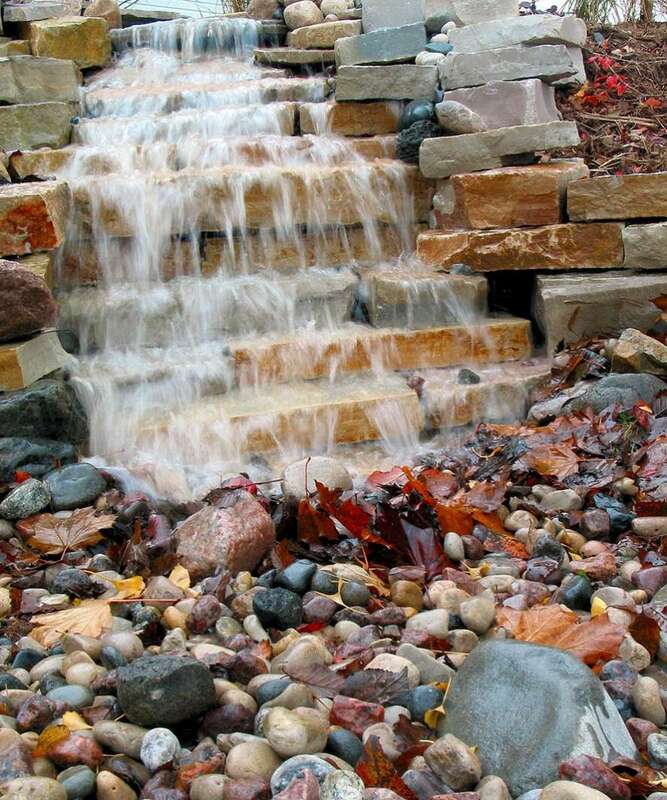 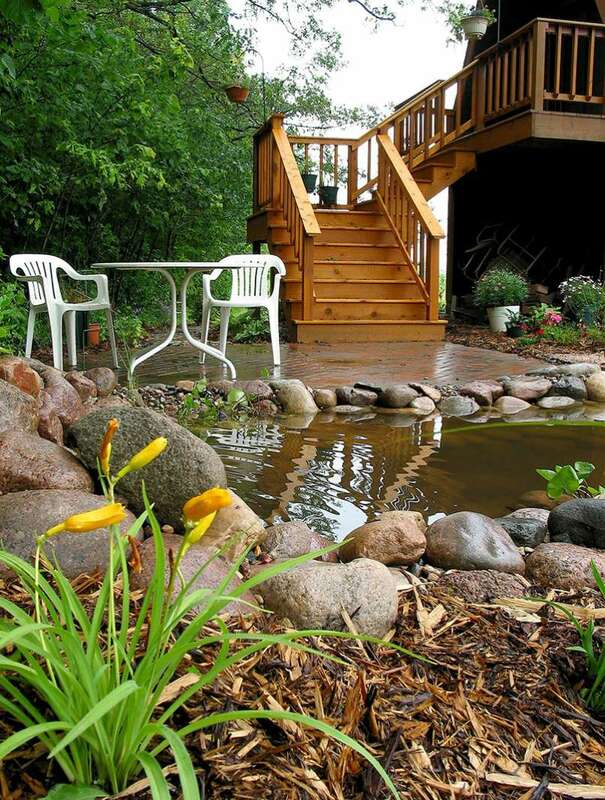 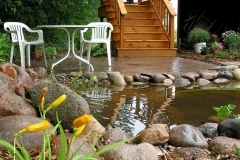 Maybe you don’t have enough space for a waterfall or pond, but you love the idea of the atmosphere that would be created by installing one in your landscape. Stop in to see our wide range of pre-made fountains, or have one of our experts design a smaller fountain area for you. 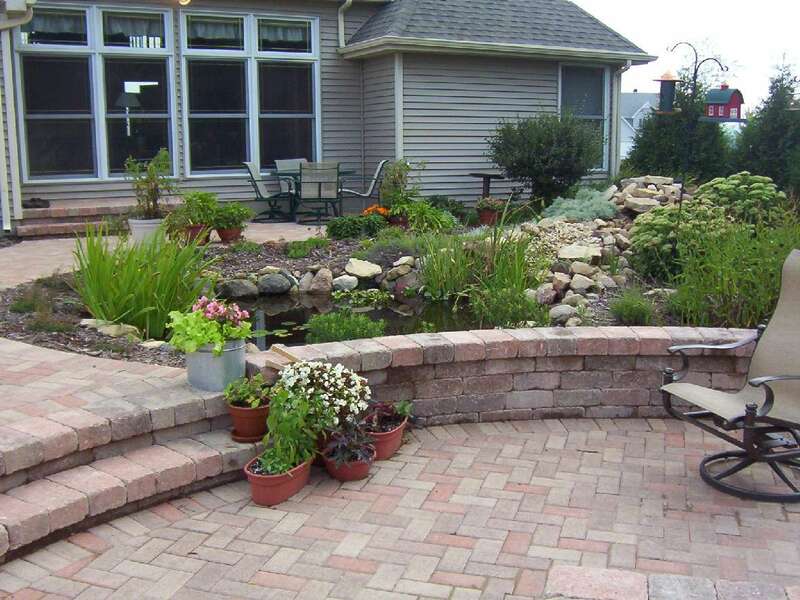 At Vande Hey Company, the possibilities are endless. Stop in today to discuss the right water feature for you!